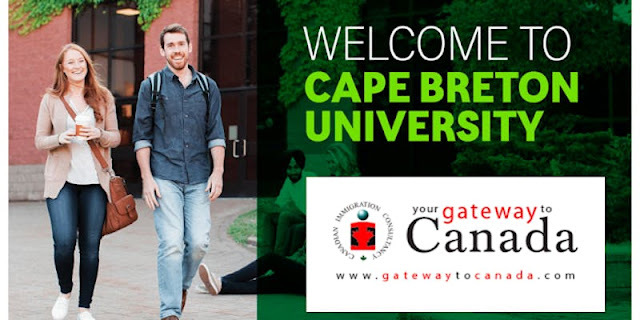 Study in Canada | Cape Breton University Free Information Seminar on March 25, 2019 - Gateway to Canada | Canada Immigration Consultancy! Give your family a Quality Life. Immigrate to Canada! Interested to study, work and live in Canada? One of the easiest way to become a permanent resident in Canada as International Student graduate is via the Atlantic Immigration Program. To be eligible, you must be a graduate from a recognized institution, like Cape Breton University. Cape Breton University is located in Sydney, Nova Scotia on Canada’s east coast, in beautiful Cape Breton Island. The university is only 3 minutes drive from Sydney airport (YQY) and 10 minutes from downtown. Nova Scotia is the warmest province in Canada. Cape Breton University is a degree granting institution since 1974. With student-teacher ration of 15:1, Cape Breton University is highly ranked in Teaching Instruction and Entire Education Experience. IELTS is not required for International Students from the Philippines! Attend this FREE Information Seminar and know your options! You will also have the chance to consult with Brett MacLean, Senior International Recruiter of Cape Breton University.